In case you haven’t noticed from my writing, I love to travel. Fortunately, Thom does too, and we intend to do as much of it as possible while we are physically able. Of course, it hasn’t always been easy. When we were young our work and our finances often took priority. Then we rightsized our lives and most of that changed for the better. But one thing that has always been a concern is what to do with our pets. Kloe, like each of our former dogs, is a big part of our family and adds an incredible amount of good to our lives. But managing her needs with our travel needs can be tricky. Fortunately, we have discovered a great solution. After three very successful experiences, I’m finally ready to recommend this service to everyone who faces a similar challenge with wanting to travel while cherishing a pet. Not only does it cost a fraction of traditional care, I think it provides Kloe with the best attention possible. So, what’s the big secret? A year ago we signed up and started using a pet and house-sitting service. This may not seem like a revolutionary concept but what is so amazing is that it costs so little. In the past it was assumed that in order to have someone stay in your house and water your plants, bring in the mail, keep everything secure WHILE watching your beloved fur-baby would cost you plenty. I don’t know about where you live, but it can easily cost $50 per day to have a traditional pet/house sitter come stay in your home for every day you are gone. Plus, in our opinion, taking Kloe to a “kennel” was never a solution. Although there are luxury kennels in our community, they require that we take Kloe out of her familiar surroundings and kennel her with strangers—not to mention unknown dogs. In addition, there is also the chance that your pet will pick up an infection from another one of the pets. That happened to us one time and we swore we’d never do it again. And even if a person is fortunate to find a kennel that is loving, kind and clean, again, the price could be prohibitive. Paying up to $75 per night for your pet (and think about if you have more than one!!!) could mean the difference between a weekend getaway camping in the mountains vs. a three-week European vacation! So, what’s the catch? After all, if it doesn’t cost much then surely there must be a downside? The disadvantage is that you have someone you don’t know very well staying in your home taking care of your pet while you are away. When we tell people what we have done, that is one of the first things that seem to freak people out. Second? That many people seem bothered by the idea that a stranger is sleeping in their bed. Okay, I agree there is an element of trust involved when it comes to having someone watch your beloved pet. The thing is, if you’ve had pets in your life for any length of time (and we just about always had them in the last 41 years) …. then you realize that just because you know the person watching your pet does NOT mean they are providing good care. Years ago we had a close friend and co-worker watch our dog. We eventually discovered that the dog had run away mere days after we left, and the guy never told us about it. A few days before we were set to return home, he finally let us know. WTH? Fortunately we were able to find our pet at the dog pound before anything too serious happened. And that wasn’t the only “lesson” we learned about putting friends or family in charge. There are NEVER any guarantees when it comes to someone else caring for your pet—whether you know them or not. And as far as being concerned about other people sleeping in your bed—I guess those people must not travel much. After sleeping in hotels and vacation rentals all over the world, as long as the bed (and bedding) is clean, then I don’t spend a lot of time thinking about the other people who have slept there before me. A major way our concerns are soothed is the fact that the service we chose, Trustedhousesitters.com, is a membership site. In other words, the people using the service pay a fee to belong. That tends to eliminate people who are just “thinking” about doing it and requires a certain level of commitment. Then once you join and start doing sits, there are reviews for both the pet sitter and the home/pet owner. That way sitters get an idea of what is expected of them and what they might expect, and pet/home owners get an idea of the quality of care that will be provided. And again, WHAT IS AWESOME is that there is no money changing hands. The sitter does not charge the pet/home owner. In exchange for the service, the homeowner allows the sitter to stay in their home rent and utility free enjoying the benefits of living in a certain location with whatever amenities are included. In addition to the level of assurance provided by the website, Thom and I have made a practice of calling potential sitters on a SKYPE video call and chatting with them for about an hour each time. So far all our sitters have been couples and when we (as a couple) talk with another couple, it is reassuring to see them in person and get a feeling for their temperament and personality. After all, when you look into the eyes of your potential sitters, ask them direct questions, and communicate as honestly as possible, you learn a lot in a relatively short time. In some ways they are really not strangers when they show up on your doorstep. After three successful sits, what is the worst thing that has happened? Well, our first sitters who were here for two weeks let a houseplant die and left our hot tub pretty dirty. Kloe however seemed extremely happy and well-nourished and that was most important. During the next two sits we had absolutely nothing to complain about. One couple was here even in the dead of summer for three weeks (very hot!) but they ran the A/C less than we would have if we had been home. And keep in mind it is really nice to have someone staying in your home, giving your dog attention, and keeping an eye on things while you are gone. There hasn’t been any emergencies or troubles but isn’t it nice knowing that it will get handled if there is? Another benefit is that I request that any potential sitters walk Kloe every day as much as I do when I am home. All of our sitters have been very active people and look forward to it. They all send photos of her throughout our travels so we can “check in” on how she is doing. We also request that the sitters never leave Kloe alone longer than four or five hours at a time. Because I work at home Kloe is very accustomed to having people around. So far so good. You can request that your sitters do all sorts of routine things that your pet enjoys. We aren’t naïve enough to believe that things could never go wrong. But again, at some point you have to trust someone else with your pet’s care or you never can go anywhere. If it bothers you to have someone sleeping in your bed, you can always request they stay in the guest room. We also have a cupboard/closet that we put our most “precious” or personal items in and lock it when we go. Other than that, we aren’t concerned with loss (beyond Kloe)—and have had absolutely nothing lost or broken—just that one house plant. In fact, the house is usually cleaner when we come home than when we left. After traveling for a total of seven weeks last year, I think it was a pretty good test. If you are the kind of person who is extremely attached to your possessions then this might not be an alternative to you. Likewise, if your extremely attached to your pet, you’ll never leave them with anyone regardless. 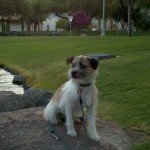 But for those of us who love our pets AND love to travel, the SMART and frugal alternative is to find a pet/house setting service might be worth a try. And if you’re anything like Thom and I, you are already planning your next vacation. Trustedhousesitters.com offers a 25% off coupon for anyone who signs up using this link. (The normal cost is $119 per year.) If you use the link, they give me two months free membership. Win-win for us both! Okay, your turn. Have you ever used a service like TrustedHousesitters.com? What was your experience? Does it sound like something you might be able to use? Please share your thoughts about this in the comments below. I really enjoyed reading post. Being an owner of two dogs myself, I’ve been having a difficult time in figuring out what to do with my pets when my family and I want to go out of town. I’ve looked into those dog hotels but as you stated in your post they can be quite expensive, especially for two dogs. While, I do like the idea of someone coming into your home and looking after the dog there is an immense amount of trust that you have to put in that person. And I must admit that I’m not a person who trusts very easily, especially when it comes down to my pets. Not to mention, that my dogs aren’t the most friendliest pets one could find. They aren’t aggressive by any means but they definitely aren’t keen to strangers. I guess that leaves me with the option of having to convince a relative come over and check on them. Kathy, when my son was living with us last year, we used to have a “built-in” pet and house sitter when we travelled. Now that he has his own place in another city, we have had to find other solutions for our dog and cat. We have tried the “best” local kennel, but don’t like to kennel our pets except as a last resort. We left the dog with our daughter for a very short trip, but it didn’t work out well because our dog and her cat did not get along. Now we have found a local woman who is happy to house and pet sit, and she does an excellent job. She has done this for us for our last three trips, each three weeks long. We do pay her, but it is no more than we would pay a kennel, and she also waters our big garden. Because she is on a fixed income, she is very happy to have the extra income from her pet sitting jobs with us. That said, I would certainly consider an arrangement such as the one you describe – it does sound like win-win. Hello Kathy, this is extremely amazing! i got to gather so much information from your blog that i would definitely consider using for the future. In fact, it is accurate the amount of trust we can have on people in which we do not know nothing about. Also, having friends or family members can give us a sense of calmness but at the same time they feel more comfortable and don’t provide the adequate care we expect for our beloved pets. ALL of the points that you discussed are exactly the way we think when leave our pets in someone else’s hands. 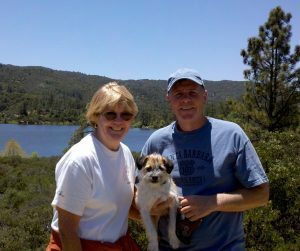 I actually have a friend/co-worker who who is a pet sitter aside from her full-time position as a kindergarden teacher, I am will definitely mention about Trustedhousesitters.com thanks to you Kathy!! Thank you so much for all this great info! Best, Allie Quintero. While we’ve had to resort to boarding at times, we prefer to have doggie-sitters. Luckily we have a neighbor in NH who loves Cali as much as we do and takes her to her home while we are gone. No money involved! We just came back from a week in Costa Rica and this same friend flew down from Boston to stay for the week at our FL home to vacation and visit with little Cali as well. We did leave her a bit of cash to help defray her costs – but she came with her daughter and they had a nice little vacation while we were gone. I’ve read about Liesbet’s experiences and am very interested from both sides. Yes, the homesitters seems like a good option for folks…I am very lucky in our situation, but it doesn’t always work out so we may investigate this in the future. Good for you for doing your homework, Kathy! I’m not a pet owner, but have many pet owners among my family and friends. I will definitely pass the link along to them. If the service is available in their area (BC, Canada), I’m sure they will be delighted to look into it. Thank you for a very helpful post! Hi Kathy, leaving pets is always a challenge. We have cats currently, and We have a reliable cat sitter who doesn’t stay at our house but checks in twice a day. She is also a vet. tech. so that is reassuring. My daughter has successfully used a housesitting service for her dog and they have had very good experiences. I like the house sitting idea and would consider that if our current cat sitter becomes unavailable. I heartily agree with using a pet sitter service like this. One of our dogs is old and does so much better if she can stay in her familiar “places”. 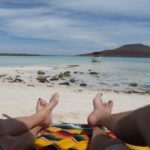 We used House Sit Mexico and were so pleased with the quality of the people who applied, it was hard to pick which one to use. I’m glad you had good experiences with your house and pet sitters and with THS. Being on the other side, you know how much we think this is a win-win situation, after doing house and pet sitting full-time for over three years. A lifestyle that conbines the best of many worlds. You’re very welcome, Kathy. That Skype call is so important to get to know each other and get a good feel for the sit and the sitters. It’s a mutually beneficial situation, for sure. Happy summer planning! Hi, Kathy – This definitely sounds like a win-win to me. It seems similar to Home Exchange (which we love), but allows people to exchange their pet-sitting/house-sitting services instead of their home. Thank you for sharing this. I will need to keep it in mind for the future. This is so timely, Kathy, as we are always looking for the best option for our dogs. On our recent road trip, we took our trailer and our dogs with us, which is great, except when we have to integrate our dogs into our kids’ homes, who all have their own dogs. We’ve explored the kennel idea but many overnight kennels are not only expensive ( we have 2 dogs), but there is no live person spending the night with all the dogs…talk about WTH! We’ve been lucky that our church has several college age gals who are happy to stay at our house and spend the night with our pups. They charge $20/day, and yes they are gone during part of the day, but our 2 dogs have each other. For now this works, and we are not gone for more than a week at a time right now. I’m very interested in the link you shared and I know other house-sit services Liesbet recommended. I appreciate post, Kathy, as I literally lose sleep worrying about my dogs! We have a cat and hate to leave him. But then we don’t like to travel much, so that works out. We do have a cat sitter who will come once or twice a day to feed him, play with him, etc. It’s pretty reasonable. She sends us “proof of life” videos and images. They look pretty chummy together. He seems pretty happy, but boy, he talks up a storm when we get back. 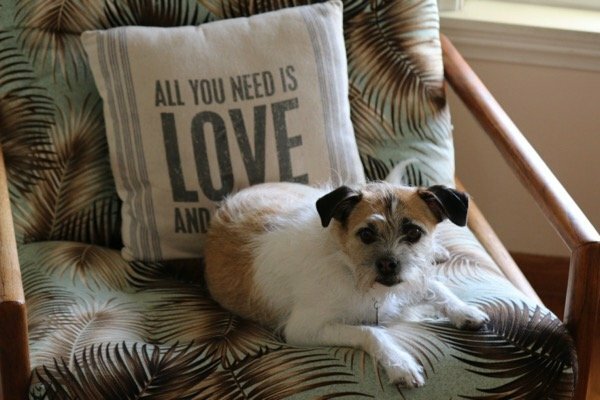 Although we have never used these services for our house (we don’t have a pet and, fortunately, we have dear friends who are always happy to come “sit” our house while we are gone), we have pet- and house-sat for others. The best gig was a “free” months stay in San Miguel de Allende taking care of one of the coolest cats I’ve ever met. I agree that it’s a win-win-win for the homeowner, pet, and sitter. Sounds like a great company. Smart to SKYPE beforehand. When our dogs were alive we had to plan our vacations when our dog sitter could sit. She doggy sat for us for about 8 years until she moved. We did pay her and she was wonderful. It was a struggle to find someone else. Now with the cats we have a neighbor across the street who comes over twice a day and we reciprocate for them. It works but we are gone more so there is that awkwardness! Sounds like a good solution. When I was working I had a single woman at work who stayed at our house while we were away … for free, since she got to stay in the house instead of her 1 br apartment … plus, fortunately, she liked our dog. Now, my daughter babysits our dog. A plea to other dog owners … please leave your pets behind. I just spent a night in a Hampton Inn where two people on my floor each had two dogs who were barking all night! The one woman said, Well, sorry, but the dogs have been cooped up in the car for the last 15 hours. Well, aside from being rude to fellow travelers, isn’t that being cruel to the dogs?! ?